20+ years of experience producing arts and entertainment, documentary, and promotional programs. 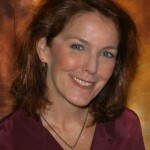 After graduating with honors from American University in Film & Video, Linda honed her skills as a staff producer for Fairfax County from 1985-1990. On the weekends, she produced and directed Metro Dance/Arts, a series of 4-camera switched dance concerts, winning numerous national awards for local programming. She has conducted scores of interviews in the USA and abroad, and accompanied MWDDC on tour to Russia in 2005 and 2006, and to Mexico in 2009. In 1990, she formed ARTtv, LLc in Washington, DC to provide media services to cultural institutions and artists, and relocated to New York from 2002-12. She served on the boards of Dance Films Association and Washington Project for the Arts, and has won industry awards including a Silver Medal in the NY Festival for Legacy of Generations: Pottery by American Indian Women, produced in HD for WETA-TV in 1999. From 1999-2002, she was the producer/director of the Martha Graham Legacy Project for the Library of Congress; and received a PEW Charitable Trusts Dance Media Fellowship, and production grant from National Institute to Preserve America’s Dance. Linda studied philosophy and media ecology at the European Graduate School, and attended the Sagasnet EU Media Programme Developing Interactive Narrative Content seminar on fellowship. Her interest in science, philosophy, and the arts coalesced into the Minds Project, an interlocking series of short films that was awarded a 2007 NEA Arts on Radio & Television grant. She continues development, design and writing for cross platform research and entertainment.